Tree Me Tree Services | Tree and Hedge Topping, Trimming and Removal Services in Auckland. Welcome to Tree Me Tree Services! You can’t uncut a tree, so make sure it’s done right the first time! I’ll always make the effort to understand exactly what your vision is so that your property is tended to properly and looks great. 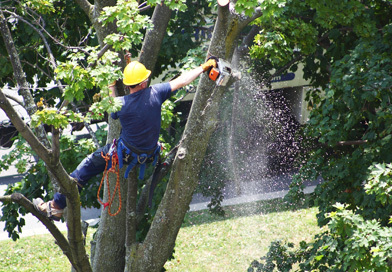 I have proudly been providing tree services to Aucklanders since 2012. It’s my passion! You can trust me to provide a personal service, with perfectionism and an enthusiastic attitude along the way. Whether your property is residential or commercial, I can provide tree and hedge topping, trimming and removal; servicing North Shore, Central Auckland, East Auckland and West Auckland. I do both one-off jobs and regular maintenance. In fact, if you need any general tree services, then look no further! I’m always happy to come to your property and inspect the work that needs to be done first; then I can give you an obligation free quote.